Landscape oil painting, Paint Landscapes like a boss! 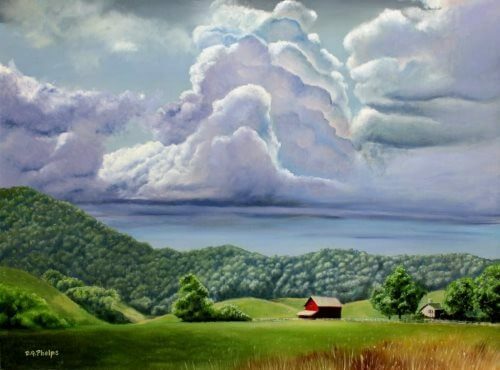 To paint landscapes and get in on this most popular type of oil painting! To Paint landscapes, is it as hard as it seems? Landscape oil painting has quickly become one of the most popular painting types in our modern era. Why? I believe its because for centuries, people are always trying to bring a piece of the "out of doors", "indoors!" It may be in the form of plants in pots, Christmas trees, or pictures of far away places brought into our living rooms to give us either something to remember, or something to strive for. These all bring our outdoor, natural surroundings, inside, to keep us renewed, refreshed and invigorated with anticipation of our next trip out side! As more of us live within large metropolitan area's, spending time in a park, a garden, or just outside in the fresh air becomes more and more important to us. Before we get too far, are you searching for landscape oil paintings for sale? Click Me! to see my works for sale. Landscape oil painting techniques, tips & ideas. Now tell the truth, when you cast your eyes on a grand expanse of a well created, high emotion landscape, don't you place yourself within the painting? Don't you walk along that stream, down that road, or through the trail just behind that tree? Of coarse you do! So from the viewers perspective, you can understand why landscape oil painting is popular. But why do artist's love to do them? I believe it's because artist's love the outdoors too! The artist can perform their craft outdoors as well as indoors with this type of painting. To paint landscapes outdoors is called Plein-air. These works can include small studies done out of doors, to huge, expansive studio works based on big road trips, hiking experiences, and other travel trips. The landscape oil painting opens many avenues for the artist to experience the outdoors! Don't you love the anticipation while hiking up the mountain pass to get to that special location to catch the sun rising, to capture the cool morning light (as opposed to the warm sunset light) that streams across the cliff face, mountain side, or crashing surf? Wow! No wonder so many artists love creating landscape oil paintings! Like many other main navigation pages on this site, this will be a launching place for you to discover in more details, oil painting techniques used in this genre of painting. Also, just in! A new ebook on this very subject. Click here to get the full details! Then get back here to get started by viewing some of the other topics on landscape paintings to be discussed. Active links will allow you to click over to that pages information. Please bear with me, I'm a full time artist, and this site is a labor of love, so between coats of paint on the easel, I'll put together my thoughts, do a little research to make sure what I say is not totally bogus, or something I think I knew, and post it here! Active links will be click-able, so lets get started! 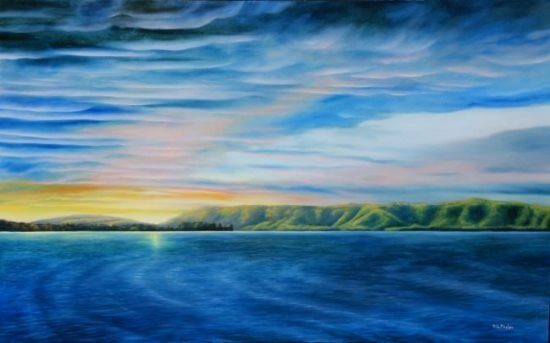 Oil Painting Landscapes - Learn how to paint your own landscape these ideas. What are you attempting to achieve with the landscape and the three major approaches in accomplishing your goals. Beginning artist approaches in detail, and the wet-in-wet approach. Plein Air Painting, while sitting in front of nature. Indirect approaches. What most professional artist's utilize. Abstract, Surreal, Impressionistic style discussed. A really large format landscape painting that includes a river and mountains. Click here to learn about How to paint mountains! Shortcut demonstration to landscape oil painting that has yielded some surprising results! I show a little shortcut demonstration on this page that will leave you ready to go and try your own! Below are 2 paintings that were completed really quickly using the shortcut and information from my Mabry Mill Landscape Painting eBook. 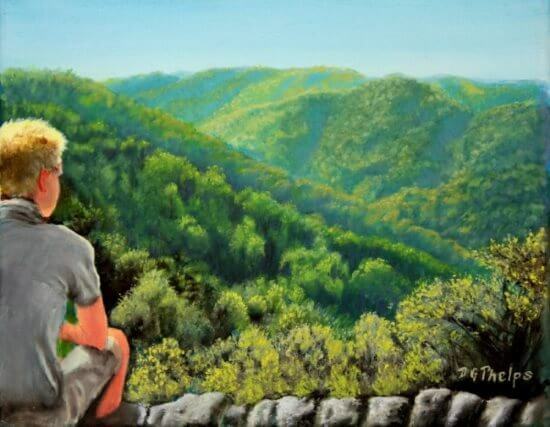 Do you have a landscape painting you would like to show the world? Or maybe a question concerning this technique? Submit your comment (and photos) below, and I'll get back to you on it. I read each and every one! Have A Great Landscape Art Work to Show the World? Beginner, semi-pro, or full time artist, show us your landscape art! Remember, short submissions, (just the bad picture and a few words) will not make it to the page. Our readers demand a bit more, so express yourself about the when, where and why you created your artwork.